Mason Clements was a son of James Irwin Clements and Annie Mae Carter Clements, and graduated with the Ray City High School Class of 1943. From Ray City, Georgia… Mason Clements was a three-year letterman for The Professors baseball team at Georgia Teachers College in 1947, 1948 and 1949… Played major role in the rebirth of the baseball program after 12-year hiatus… Played for three coaches – R.I. DeWitt in ‘47, J.B. Scearce in ‘48 and J.I. 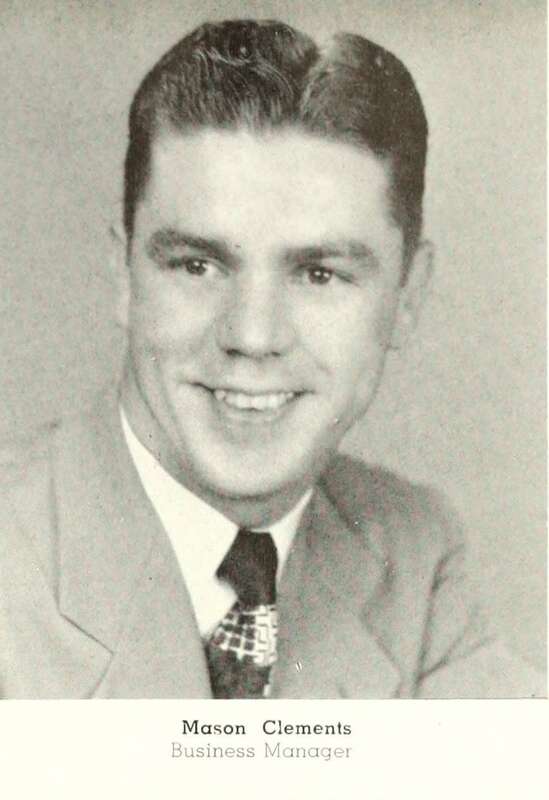 Clements in ‘49… Helped Professors to three-year record of 41-21.